Why the gap? And what can be done to close it? The internet (let’s call it the web to avoid confusion) is not like your SharePoint intranet. The web is full of general information and when you’re searching it, you’re usually looking for general results. It is also powered by people who are interested in having their stuff found. 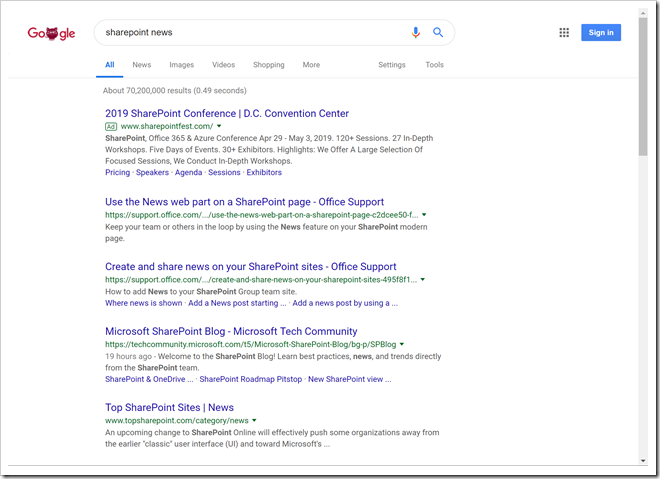 When searching SharePoint, on the other hand, users are often looking for something very specific that was not created by someone who understand search optimization. These searches range from very general, to very specific. And the people who write content about these things tend to spend a lot of time trying to make their content easy to find. They use titles, tags, images and descriptions to help search engines find their content. And the search engines (for better or worse) tend to favor recent content – old content that hasn’t been updated doesn’t show up high on the search list. The searches are often for very specific documents, policies or other content. There is often only one precise thing that will answer your question, but many things that share the same search terms. You may pull up a holiday calendar from 5 years ago, or dozens of presentations that aren’t the one that you’re looking for. And the people who have created the content often have no idea how to make it easy to find. They might save a new document called “Holiday Calendar” every year without changing anything in the naming or even body of the document (except dates that may not even include years). They might save every client-specific “Capabilities Presentation” into a client-specific folder, but with the exact same file name. They may not rename “Proposal Template” to “Proposal [Client Name]” so when you search for the latest template, you get a long-list of non-templates! Further compounding this, you often want to search very old internal content (a few weeks ago I had to pull a presentation that was literally over 12 years old to re-use portions for a new project). 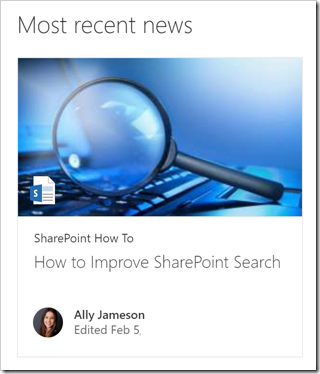 There are dozens of ways that SharePoint search results can be improved. Microsoft is constantly making improvements, and there are many technological tweaks that can be made. But none of those seem to keep up with data (that is doubling every 2 years) and bad data (that is more than doubling every two years). None of the available options works well without data stewardship. Keeping things clean is everyone’s responsibility, right? Well … yes and no. Does your business require everyone to take turns emptying trash cans, cleaning bathrooms and mopping the break room floor? I didn’t think so. Sure, you’re expected to keep your workspace tidy so you can be productive and not distract co-workers. But your company recognizes that your time is way too valuable to have you consume it keeping the floors clean and wastebaskets empty. Why do they treat data any differently? Everyone knows what data they have to keep clean (this is usually their personal data stored on OneDrive, for example). The Data Steward (often an outsourced role, just like building cleaning and maintenance) is responsible for monitoring and keeping most of the other data clean. In some cases that might mean archiving those old holiday calendars. In others it might mean meeting with a department head to review files. Or in some cases is may mean updating tags, titles and metadata. In still others it may mean deactivating a site whose owner no longer works for the company and that has been inactive for 6 months. If you think about it, the value of making that 1 file easier to find for hundreds of employees can result in hours of saved time for your team every year. Multiple that by hundreds of files and the Data Steward role quickly cost justifies itself. 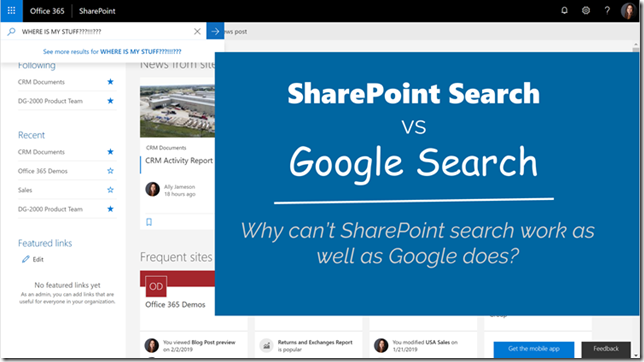 Contact C5 Insight to learn more about defining governance rules, tweaking your SharePoint search settings, or finding a Data Stewardship partner.